We work with so many great chefs and restaurants in NYC that there would be no way we could squeeze them all into one week of events. So instead we did the best thing we could do, we squeezed a bunch of them onto on patio to server their Burgers! 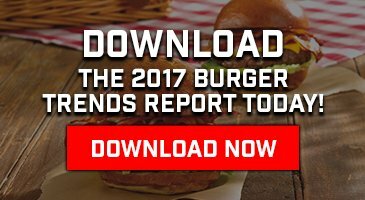 The NY Burger Feast, now in it’s 2nd year, was created so that we could put together a festival that showcased some of the very best Burgers in and around New York City. The party was hosted by Hudson Common in the Hudson Hotel. They have a beautiful indoor / outdoor space that already has a Beer hall and a Burger bar. It was the perfect place to hold the 2015 NY Burger Feast. We invited some our favorite chefs and restaurants to come out and serve to you their very best Burger. They came, they grilled and they proved that NYC is definitely a Burger City. This is our home town too and we couldn’t be more honored to be working with such amazing culinary talent. What would The NY Burger Week be without a big burger party? Right? We hear you and we agree and that’s why we created THE NY BURGER FEAST. Join us on Friday, May 1st for an exclusive Burger party at Hudson Common in the Hudson hotel for a burger and beer feast of epic proportions. We’ve invited some of the best Burger spots around to come and serve you some of the tastiest burgers in the biz. Each restaurant will be showing you their best by offering a signature Burger from their menu using a selection of high-quality, fresh ground beef from Schweid & Sons. You’ll go from table to table as you walk around enjoying delicious burgers. Wash it all down with a selection of local craft beers from Kelso Beer on tap at Hudson Common. The Ainsworth – Mac and Cheese Burger with Panko-Crusted Mac and Cheese, Schweid & Sons Butcher’s Blend Ground Beef Patty, a Scoop of Mac and Cheese, Cheddar and Provolone. Black Iron Burger – 4 oz Schweid & Sons Certified Angus Beef All Natural Burger with Horseradish Cheddar, Stout Caramelized Grilled Onions and Special Horseradish Mayo. GENUINE Superette – Spicy Smoke House Burger – Schweid & Sons One Percenter, Certified Angus Beef Prime Burger, Martin’s Potato Roll, Crispy Bacon, Chipotle- BBQ sauce, Charred Jalapeno Mayo, Smoked Gouda, Pickles. Hard Times Sundaes – Half pound of Schweid & Sons USDA Prime Chuck, The Prime Burger with Bacon, American Cheese and Caramelized Onions. Heartland Brewery – Buffalo-Style Beef Burger made Schweid & Sons Butcher’s Blend laced with melted Wisconsin Blue Cheese topped with Mild Buffalo Hot Sauce and Crispy Onions. The Original Ramen Burger – Handmade Ramen Noodle Bun, Secret Shoyu Sauce, Baby Arugula, Scallions and the Schweid & Sons Katana Blend Wagyu Burger. Thank you….No, make that THANK YOU. We are honored and humbled to be able to work with such amazing restaurants and fantastic chefs who really do make the very best Burgers out there. Thank you to all of them for bringing their Burger A-Game to the NY Burger Feast. Thank you also to the hard working and dedicated staff at the Hudson Hotel / Morgans Hotel Group. You have no idea how busy these people are and just how hard they work to make such super cool events like this happen. We love your space and moreover, we appreciate all that you do. Thank you as always to the talented Ben Trivett AKA the “official” NY Burger Feast photographer. You’re work speaks for itself. Last and definitely most important, thank you for attending to the NY Burger Feast. We hope you had a great time and discovered some new Burgers. We are Burger fanatics too and we do this so we can share the delicious fun with you.